Happy February! 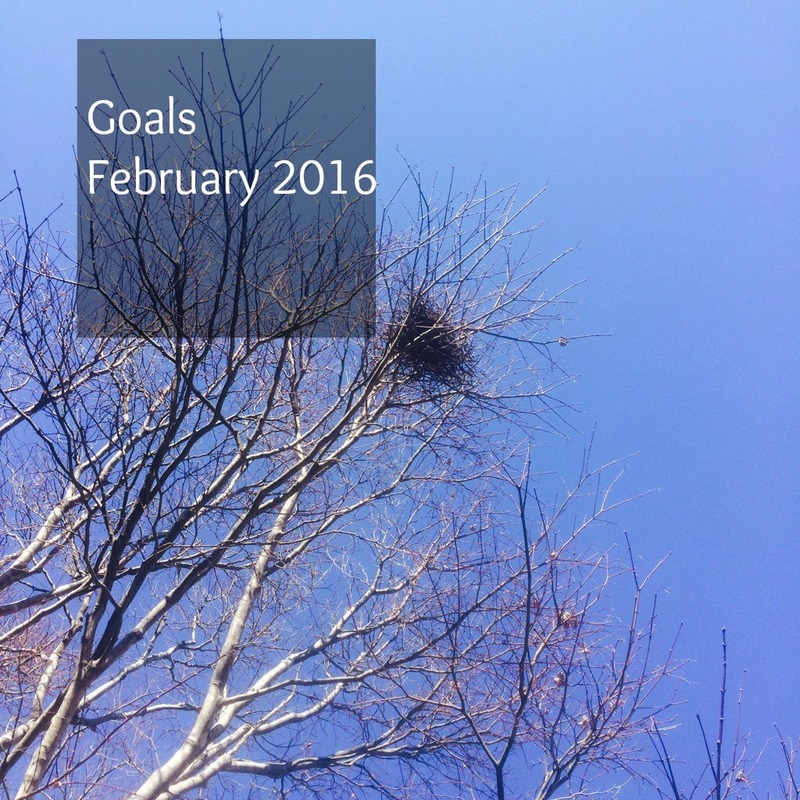 Last month I joined in with the monthly goal share organized by Mama Smiles. Today, I'm back to report, set new goals, and share how I deep clean with my toddler in tow. Here are my monthly goals with their key words for the year, what I did, and where I am trying to go this month. This goal was not met. Specifically, the candy math manual is not finished. I am sorry! Part of my problem was a lack of sunny days for photography. I'm moving this goal to February and hoping to do better. The party was a success: my daughter was happy, and we all enjoyed the time with friends. It turned out to be a smaller party due to the promised blizzard (It seems two inches qualifies as a blizzard here, but that's a different story.) You can read the details of our animal party here. This month's goal is a new screen time plan. This is a tough issue for us, like it is for many families. My favorite plan is to offer screen time alternatives, but it isn't practical to do that all the time. Ultimately, I want a system that helps my children regulate themselves. I am working on deep cleaning the house to give us a pleasant environment for the rest of the year. The kids' rooms and entry way are done. The master bedroom was in worse shape than I realized, and it is about half done. The rest of the bedroom, the main room, and hall closets are all on the list for February. Tackling a broad area of deep cleaning with the toddler in tow can be disastrous because something will come up part way through, and you'll be caught with things spread everywhere. Then, your little helper will back to it before you, and things end up worse, not better. I've been there. 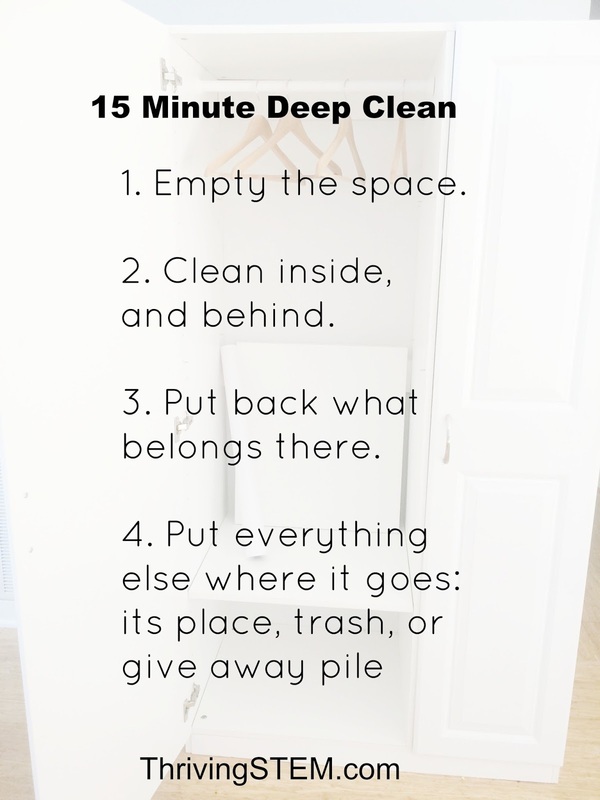 I currently do most of my deep cleaning in 15 minute spurts following this formula. Maybe it will help you too. Make sure your toddler is safely away before you move any furniture. That's it for my February goals. What are yours? 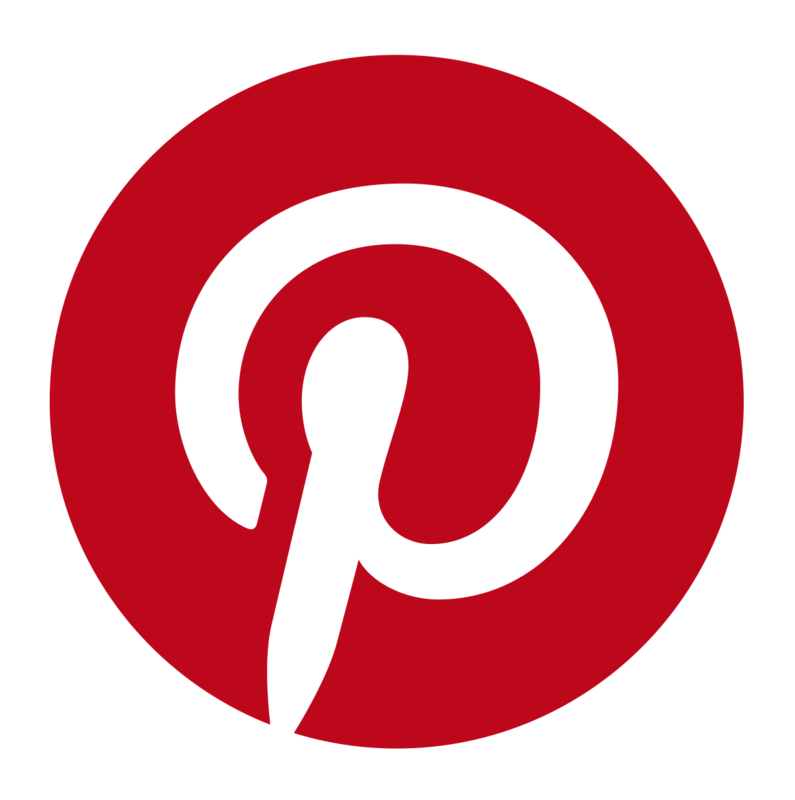 Link up or share in the comments. Kudos to you for being mindful about screen time. It's such a difficult balance to strike as a parent. Good luck on your February goals too! Thanks! We're still definitely teetering on this one. Your deep cleaning tips were just what I needed to read--I too have a toddler and trying to get cleaning done with him running around is just about impossible. I just need to tackle it one little space at a time! Great goals! I am so thrilled to hear that! I have been so frustrated at times, and still occasionally go in circles for the whole day, but always appreciate when I can find a way to move forward. 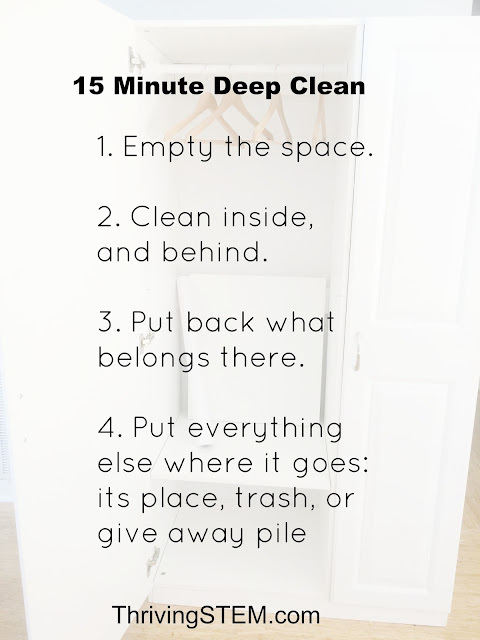 Your idea of cleaning in 15 minutes is so practical. That's usually about all I have time for these days, but if you can do a little bit a few times a day a lot can happen.